To analyze the "Roma Concept" of Kr. Karakachanov is like reading a treatise on the late antique eclectic - heterogeneous and hardly compatible ideas, among which there might be found some basic attempts, but the whole product is far from original and gives a crisis of thought.The "Concept" addresses objectively existing problems but it is based on mistakes and follows a completely misguided, even dangerous, strategy. The proposed measures are of three types: already introduced and existing; social measures currently under discussion, and populist, administrative-criminal actions that cannot be implemented in a normal, democratic state. The realization of such a "Concept" would explicitly overturn the little achievement so far on integration. It is a positive fact that the draft document has encountered a rapid and serious resistance from a number of very different factors. A very bad sign of the state of our political class would be if such a "Concept" was taken "seriously" by politicians. The "Concept" justifies the need for its emergence with real problems: the danger of local domestic conflicts becoming a serious ethnic confrontation at the national level, the Islamization and radicalization of some Roma groups, the existence of domestic crimes ... But here, the authors made misinterpretations of the factors behind these problems: they see a "civilization problem" that prevents Roma from being integrated because they follow an "eastern (non-European) civilization model." I would like to leave aside the insubstantiality of this statement: empirical experience supports just the opposite - in each country the Roma follow the models of the majority, which is why the Spanish Roma / Gitanos resemble the Spanish, and the Roma in Bulgaria look like Bulgarians ... More importantly, it lead to the conclusion that Roma cannot be integrated into a European society and is therefore better being limited, such as fertility, the ability to educate their children, and even express their identity. The other prerequisites mentioned in "Internal Factors" and "External Factors" lie at the border between delusion and manipulation. The main fault for the failure of integration after 1989 is due to the "activities of multiple NGO-s, to the numerous projects implemented with multiple sources of funding, but without having visible results for real integration in practice". The Decade of Roma Inclusion has also been specifically mentioned, and the manipulations of the huge sums given by the state and the zero results have been reiterated. In fact, it is enough for the reader to review the National Decade Action Plan quoted in the Concept, in order to see that the funding from the national budget was minimal (the column "Funds" of almost all activities is empty or stated “unnecessary ") and relied mainly on the FAR program, which funds were limited. Incorrect or even manipulative allegations are followed by a completely false, even dangerous strategy – barrack integration through punishments, duties, and calls for legality. It is no coincidence that 4 of the 6 goals set in the Concept emphasize restrictions and forcefully "enforce the law". However, goals have not been missed in two of the indisputable areas of integration - education and employment, even though they are represented as duties and the formation of proper habits. This is a change and a serious retreat from the previous consensus that raising education levels and accompanying measures to overcome health, employment and housing imbalances (the "social inclusion approach") are key to integration, which is also the approach of the European Commission. The measures envisaged to achieve the objectives of the “Concept" represent a particular interest. Some of them were already set and existing at present, although they were presented as something that is yet to be offered by the patriots. These are, for example, most of the measures in education, health and social spheres. It is strange that a Deputy Prime Minister does not know the measures and the Interinstitutional Mechanism for Returning Children at School, which also includes the suspension of social benefits for children in absenteeism, administrative penalties when the parent does not provide the child with the opportunity to attend school regularly, allowances in kind (food, clothes, textbooks, etc.) at the discretion of the Principal and a line of other already existing opportunities. It is also strange why the patriots want measures that are now aimed at all children to be applied mainly to the Roma. Many of the proposed crime mitigation measures and "other measures" already exist, and the "Concept" provides for their implementation. This makes it a unique document prescribing compliance with existing law. Another part of the Concept are currently discussed social measures, some of which are consensual and often also offered by civil society. For example, the introduction of a compulsory kindergarten at the age of 4 has long been embedded in the MES program; the abolition of kindergarten fees is a request of a broad NGO coalition and is supported by 80% of citizens and others. The largest group of measures is populist, administrative-criminal actions that cannot be implemented without seriously violating the rights of large groups of citizens. Particular attention is paid to birth control measures. They are reminded of the "best times" of National Socialism and other totalitarian ideologies that follow Nietzsche's idea of the superhuman, supplemented by the "right" to limit the birth rate of the lower ones. Indeed, most of these measures could not be implemented without Bulgaria incurring serious sanctions by the European Court of Human Rights: it would probably be necessary to include a special budget line in the State Budget Act to cover these sanctions. Why the "Concept" cannot be basis of integration policy. 1) Bulgaria has a tradition of accepting relatively good documents for the integration of the Roma. 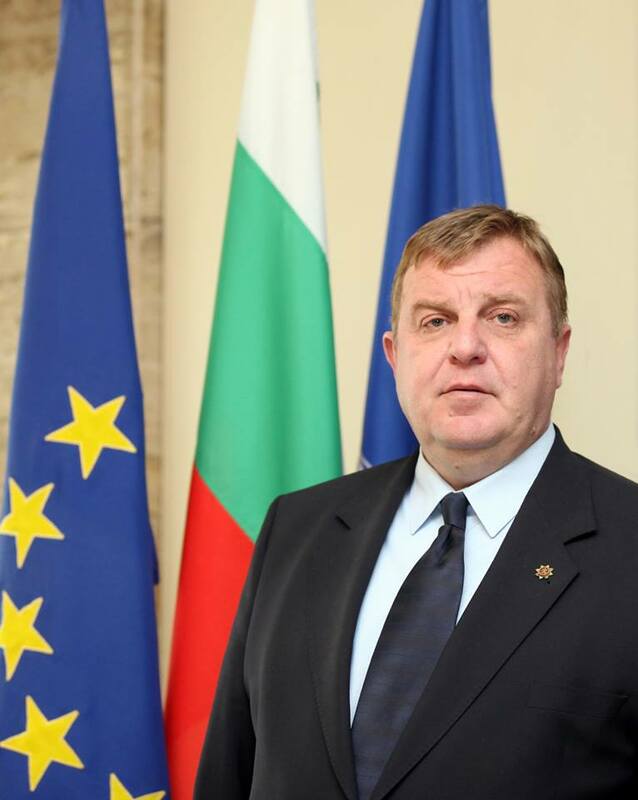 The latter is the National Strategy of the Republic of Bulgaria for Roma Integration, adopted unanimously by the National Assembly on March 1, 2012. It was followed by the adoption of municipal plans for Roma integration in 194 municipalities - by a decision of the respective Municipal Councils. The problem with the current documents on Roma integration is not in the goals and measures they envisage, but in the lack of appropriate institutional mechanisms for their implementation, especially in the absence of a serious / non-declarative and non-populist political will, as well as the lack of a supportive public environment. The "Concept" lapses from the main merits of the existing integration documents, as the proposed objectives and measures are too controversial and the consensus on them is virtually impossible. It does not foresee new institutional implementation mechanisms, and in this respect there is no added value. Moreover, it is far from creating any supportive environment, and on the contrary it threatens to destroy the few existing ones. 3.) It is extremely important that the existing integration documents were prepared after extensive discussions and adopted by consensus. A wide range of institutions, civic organizations and experts participated in the preparation of the National Strategy, and the consensus reached around it found expression in its approval by an act of the legislature. Municipal plans were also prepared and adopted in consensus. In contrast, Karakachanov's "Concept" follows the principle of the barracks chief: "when you talk to me, you will remain silent" and there is no way to be consensual. This is particularly important because what we most need with regard to Roma integration is from a Public Contract on it. The true Public Contract should be supported by all parties and not be enforced editorially. The "Concept" still marks some evolution in speaking, especially against the background of previous statements and "patriotic" strategies to the Roma. Remarkably, for the first time, they use the term "Roma," though in the form of "Gypsies". The history of early transition remembers that such complex-composed names are a necessary step towards the acceptance of certain realities. For example, the head of state has been called the "President of the Republic" for a relatively long period from the National Round Table to the adoption of the Constitution. Another step in the "realization" of the "patriots" is the fact that the "Concept", at least in words, refers not to all Roma, but only to "non-socialized persons from the Gypsy (Roma) ethnicity." Only a month ago, Deputy Prime Minister Karakachanov did not make such a distinction, defining all Roma as rude. I hope that this is a sign of some evolution, not just an artificial grinding of speech.